A whole food diet is never more important for your dog than when his health is challenged. 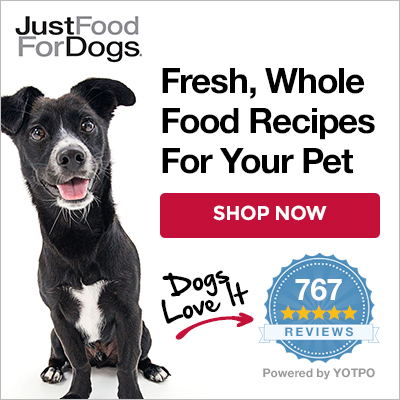 At JustFoodForDogs we not only offer completely balanced daily meals for healthy dogs but we also specialize in the formulation of custom dog feeding plans using whole foods and supplement blends. We can formulate a very speciﬁc dog diet to address a wide variety of dog health issues. If your dog can beneﬁt from a customized feeding plan based on speciﬁc dietary needs, we can help. There is a one time fee of $250 to cover the cost of formulating the necessary nutrient blend and customizing a meal plan for your dog after which we can provide a speciﬁc quote for food prepared by the week or month. 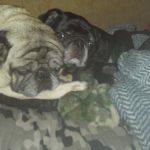 We have experience with, and success in, creating feeding plans to address dog health issues such as dog obesity, dog digestive disorders, pancreatitis in dogs, diabetes in dogs, and liver disease and kidney disease in dogs, etc. Typically we require only a blood panel from your vet and the answer to several questions in order to begin. All of the ingredients used in the food we prepare for your dog are USDA approved for human consumption. In order to control the nutrient quality we use only supplements made in an FDA and CGMP compliant facility that produces supplements exclusively for human consumption. After formulating a detailed feeding plan based on your dogʼs blood panel we will prepare the food from fresh, whole foods and instantly freeze it in convenient packages for pick up at our kitchen or deliver it directly to your home or ofﬁce. Typical service time from receipt of the completed questionnaire, blood panel and payment to completed product is 7-14 days. To begin the process, please fill our our Custom Formulation Questionnaire. drop by our kitchen for a free consultation.